Well done to Peter, Chris and the team at Smarthomes UK for March's incredible Installation Of The Month! 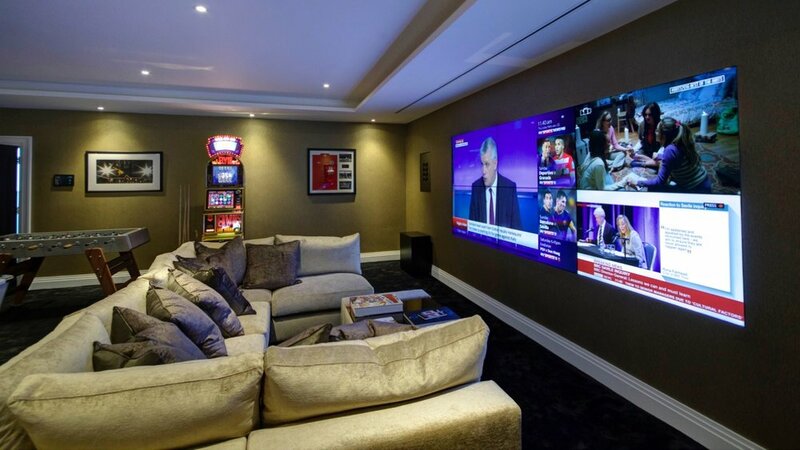 Two stunning rooms form the entertainment suite in the basement of this luxurious property. A huge 3 source feed video wall allows for complete updates on all the key sporting occasions, with a very well stocked bar and numerous games to keep the fun flowing into the early hours. For those very special cinematic experiences, the amazing dedicated cinema is ready for at least eight people in complete comfort. 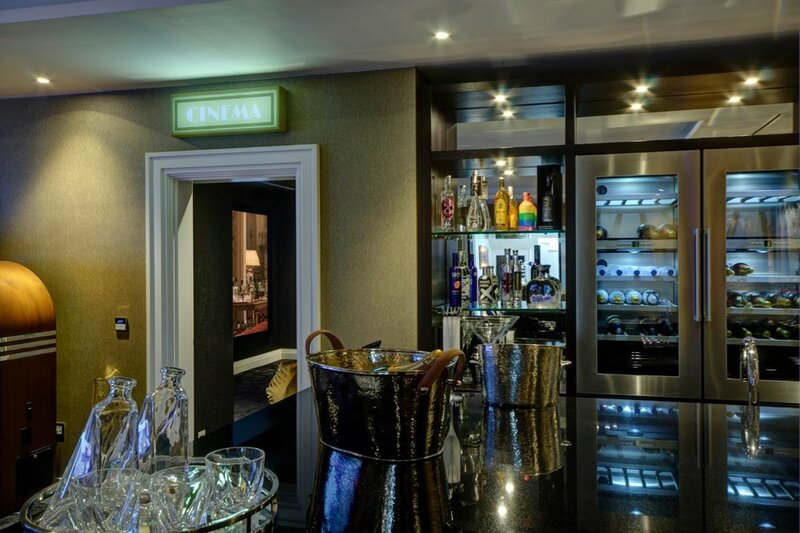 The incredible private cinema uses 3 x Spitfire 8-4 behind the acoustically transparent Screen Excellence screen, alongside 2 x Spitfire Control 3 Subwoofers. Diablos SL and Architect SL 2-1 make up the system for an amazing Dolby Atmos 7.2.4 system. The sports bar and games room area features 4 x 75-55 SL 8-4 with 2 x Impact-3 SL subwoofers. This is a system that whilst remaining discreet and subtle, delivers an incredible sound that really gets the parties going. Deep, tight, dynamic and fun - this is how a fun room should sound! Well done to the team at Smarthomes UK!